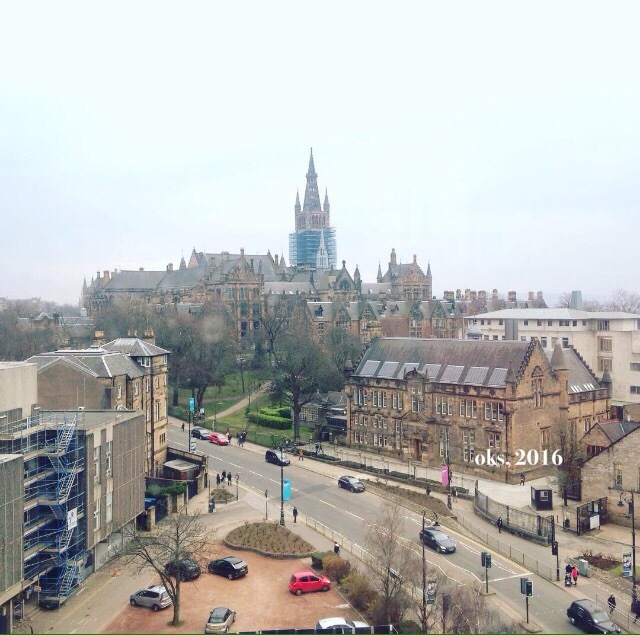 “It would never be the same to take photos at UofG without its tower”, said my friend who graduated in 2015 from UofG. So, the tower has been refurbished since mid-2015. The scaffolding wrapped around the gigantic iconic tower of one of the most ancient university in the UK: University of Glasgow. Anyway, what a stunning photo isn’t it? I’m not into bragging but this was the first time I saw UofG main building from this point of view. I capture this photo just before the Annual General Meeting of GUMSA begins. Previous Previous post: They’re responded!